2016 Audi A3 Saloon 1.4 TFSI 150 review | What Car? The A3 is Audi’s best-selling car, and to keep it fresh it’s just been given a light mid-life refresh. It comes in a choice of four body styles: a three or five-door hatchback, two-door cabriolet, or the four-door saloon we're testing here. As part of the refresh, you get Xenon headlights that incorporate a new daytime running light design, as well as a revised front grille and bumper. At the back there's a wider diffuser integrated into the lower edge of the rear bumper, along with redesigned LED tail-lights. 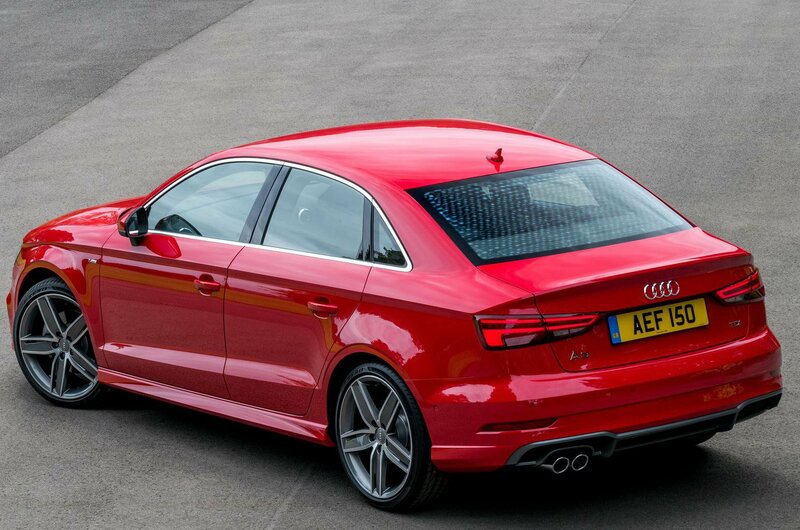 Technology from Audi’s more expensive models has filtered its way through to the new A3 range. 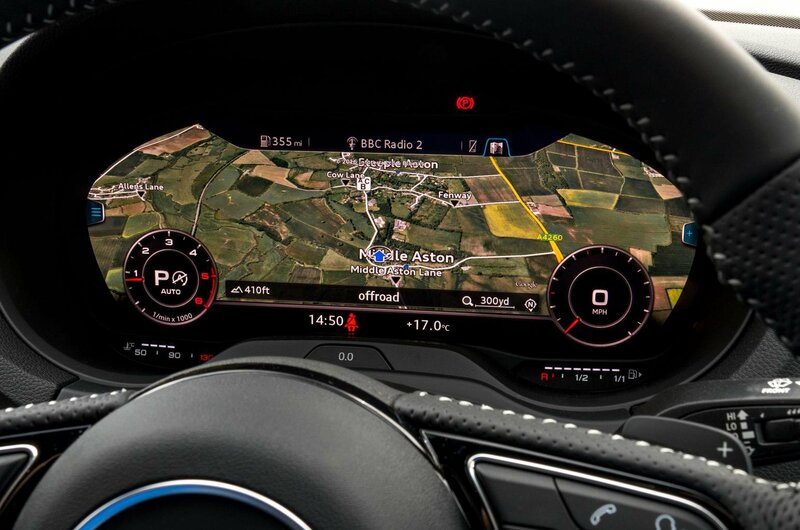 Now you can specify options such as the excellent Virtual Cockpit display, which puts lots of useful information including sat-nav maps on a 12.3in screen behind the steering wheel, in place of traditional analogue instrument dials. You can also choose from an array of new safety features, such as powerful LED headlights with Audi's new ‘sweeping’ indicators and emergency city braking. Another new optional extra is Traffic Jam Assist. It’s available on models fitted with the S tronic automatic gearbox, and will autonomously accelerate, brake and even steer the vehicle in stop-start traffic. We’re driving the 1.4-litre TFSI petrol, which comes in a choice of two trims: Sport and S line. Both feature more equipment than before such as cruise control, a smartphone interface, and automatic lights and wipers. Sport models also come with 17in alloys, dual-zone climate control and sports seats, while S line trim also has sports suspension, 18in alloys and a flat-bottomed sports steering wheel. 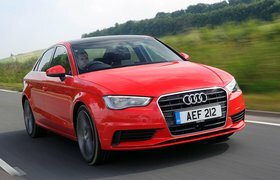 What is the 2016 Audi A3 Saloon like to drive? The 1.4-litre engine has cylinder-on-demand technology, which shuts down two of the engine's four cylinders when you’re cruising along. This boosts efficiency and delivers competitive fuel consumption and CO2 emissions. Then, as you put your foot down, it switches smoothly back to using all four cylinders. In this mode, the engine delivers plenty of oomph from low revs and enough mid-range shove to make relaxed progress or carry out swift overtakes. As standard, you get a six-speed manual gearbox, although our car had the optional S tronic seven-speed dual-clutch auto. In auto mode it delivers smooth changes, or quick manual shifts if you use the paddles behind the steering wheel. The S line model has Audi's lowered sports suspension. It handles with aplomb, with little body lean through corners and lots of reassuring grip. Our test car also had the optional progressive steering system fitted, which makes the steering quicker the more you turn the wheel. The effect is that you need fewer turns of the wheel when parking and manoeuvring, yet the car feels more stable at motorway speeds. Although the sports suspension produces a firm ride, it’s not uncomfortable. Even over patchy roads, the A3 doesn’t crash or thud over sharp ridges or deep potholes. This 1.4-litre engine sounds quite gravely when you work it hard, but on the upside, tyre and wind noise are well suppressed at speed. What is the 2016 Audi A3 Saloon like inside? Not much has changed on the inside other than a tweak to the design of the rotary air vents. 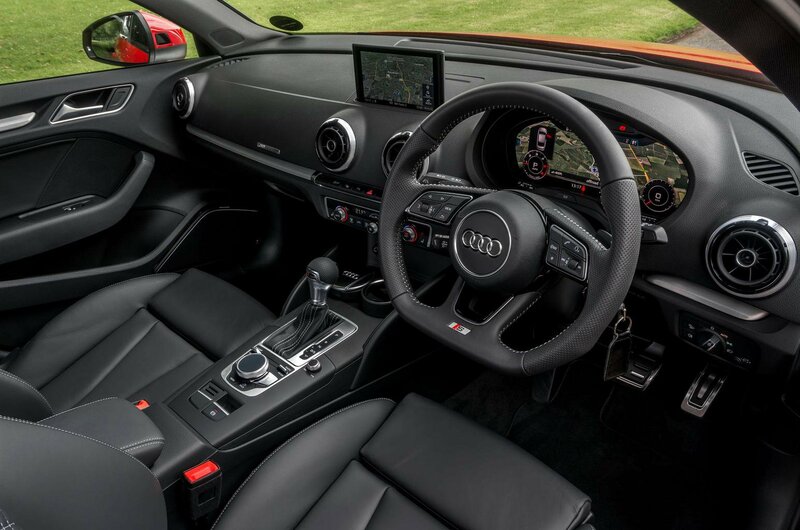 That’s no bad thing, because you get all that was great about the previous A3 Saloon: a well-made interior with plenty of soft-touch materials and high-quality switches and buttons. The dashboard is easy to use, with clear dials and logically arranged controls. You also get Audi’s excellent MMI infotainment system as standard, with a 7.0in colour screen that rises from the top of the dash. The driving position remains top draw. All models get a height-adjustable driver’s seat and the steering wheel adjusts for rake as well as reach. There's also decent front head and leg room, so even taller drivers should have no issue fitting in. It’s a little tighter in the rear, though, especially if you try to fit three large adults across the rear seat bench. The A3 makes up for this with a decent boot, though, which will fit several large shopping bags or a pram without issue. The Audi A3 Saloon remains an excellent choice for those looking for a compact family car with the elegant looks of a saloon. 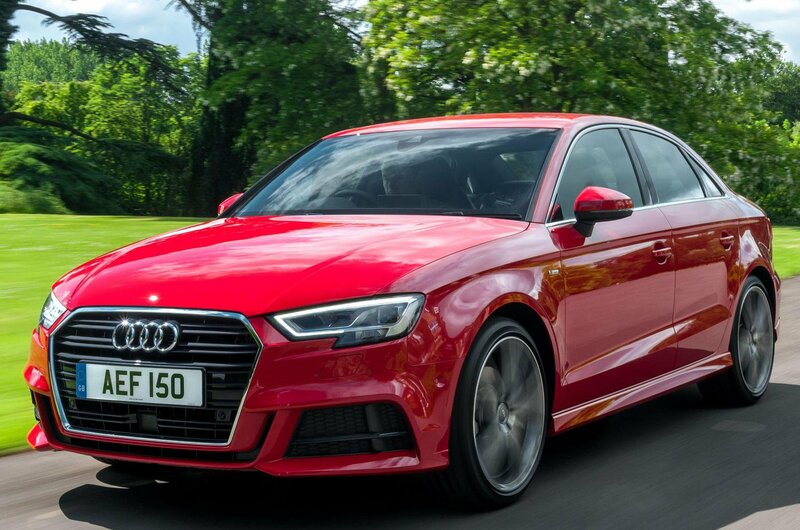 It is worth bearing in mind that it’s more expensive than the hatchback version, though, and it's less practical, too.Compared to its nearest rival, the Mercedes CLA, the A3 is more comfortable and more fun to drive, and its 1.4-litre petrol engine offers decent performance and emissions. However, based on our experience of the previous model, the diesel 2.0 TDI 150 Sport should be the pick of the range, due to its better real-world economy and equipment which is enough for most people’s needs.